Brown Wooden Nunchaku - Solid Wooden Construction, Sturdy Nylon Cord, Quality Gear - Length 12” | BUDK.com - Knives & Swords At The Lowest Prices! 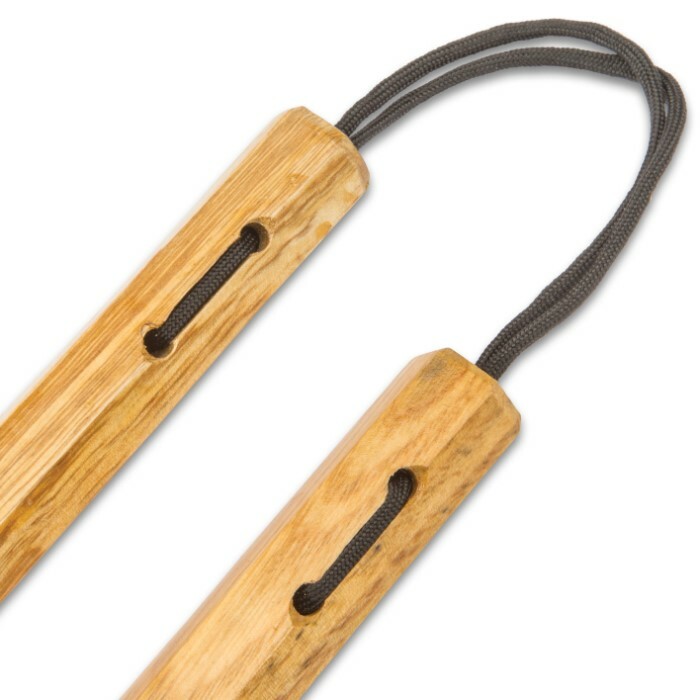 Made of a sturdy brown hexagonal hardwood, these nunchaku will last for years to come, even with abuse, so they are a perfect addition to your martial arts gear or to your martial arts school equipment. 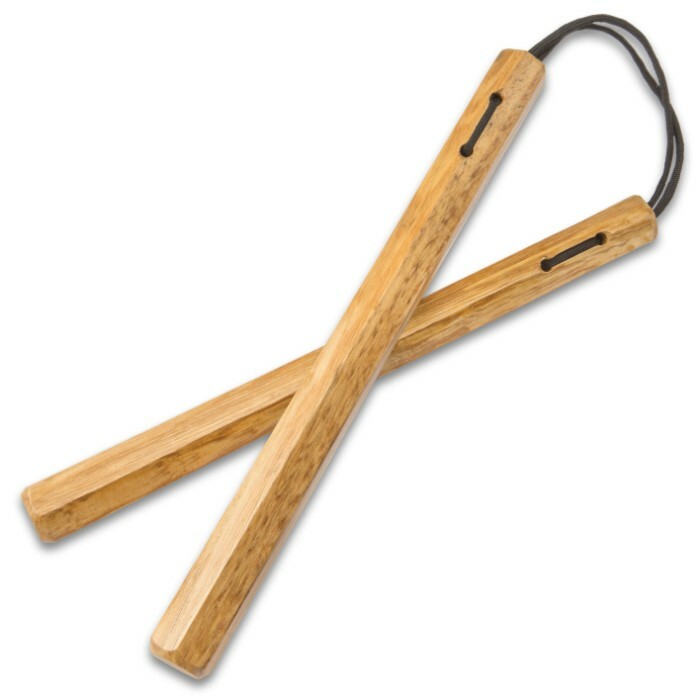 They are perfect for practicing your skills or teaching beginners. 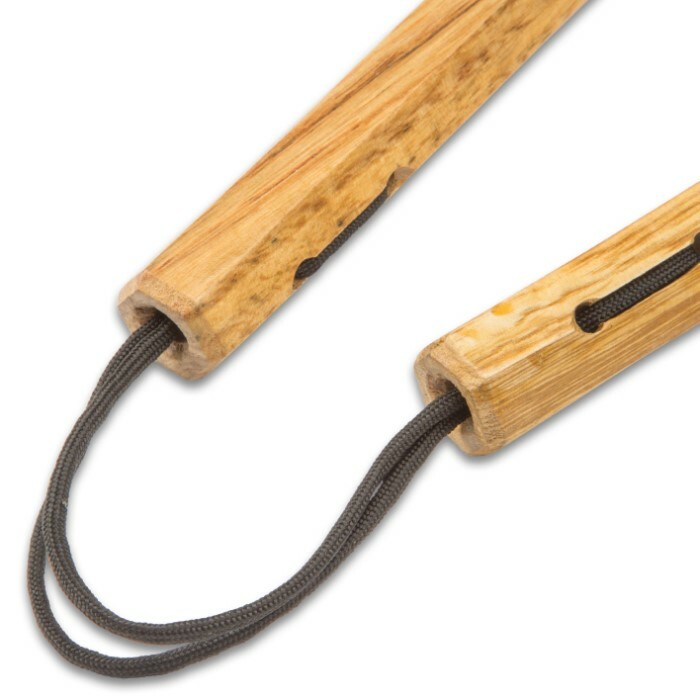 Each shaft of the nunchaku is 12” in length and they are connected by a sturdy 6 1/4” nylon cord. 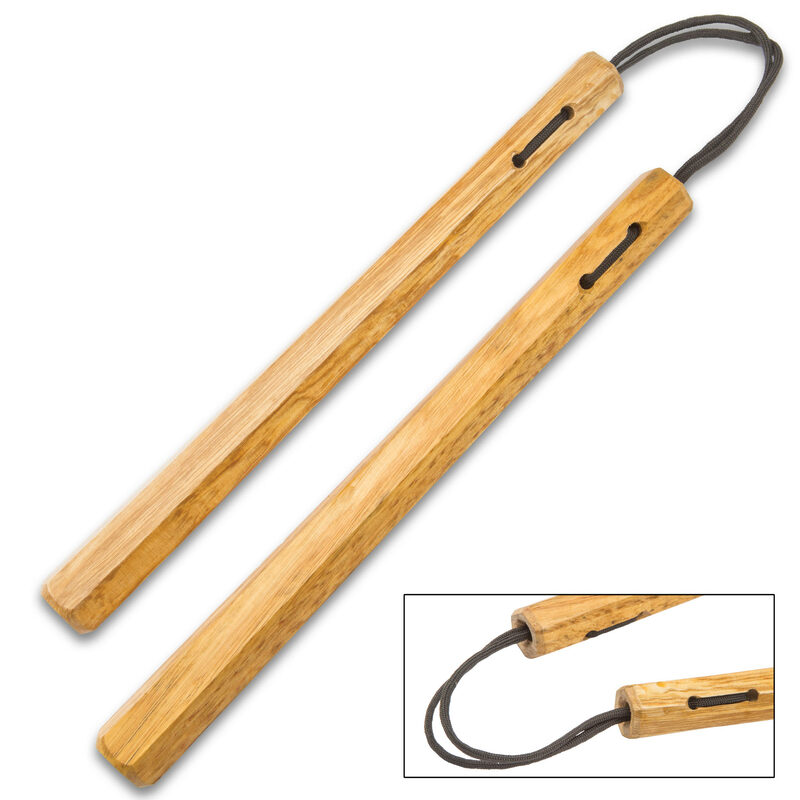 The best thing of all is that, at such a great price, you can get a few sets of these nunchaku!